"None of your soft-mouthed, docile animals for me, the horse for me to own must show some spirit"
It seems to me that this was a lively household: two strong minded parents, three young sons. 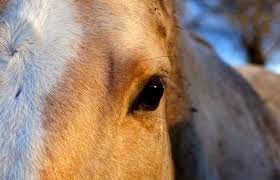 I like the stride of the Yellow Horse, and catch a glint of amusement in those imagined eyes. Resembles a cave dwelling drawing from France. I think I remember this story. That lower picture looks like a copy from the French cave wall paintings. I can't believe it was a chamber pot. I think I know her...she's a neighbor. Good post, girl! 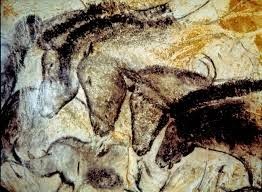 Those are the French cave horses, they are stunning, I think.